NEW YORK—Saying they wanted to do something special to commemorate the 11th anniversary of the tragedy, NBC officials confirmed the network would pay tribute to the victims of 9/11 and their families by premiering a new Matthew Perry sitcom Tuesday. 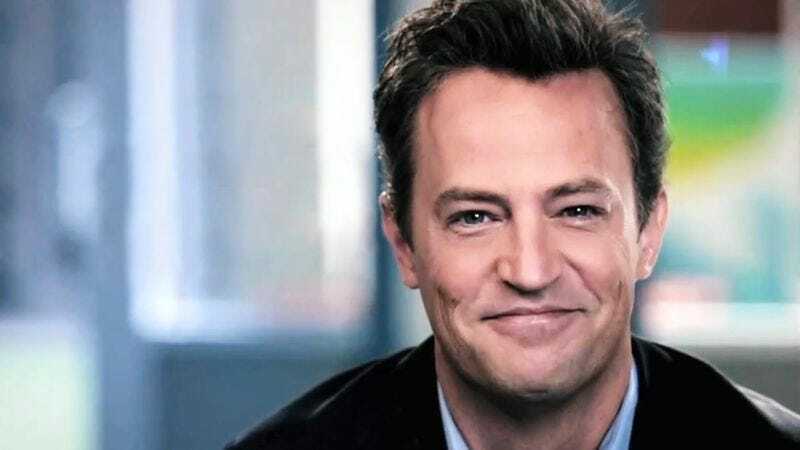 “On this solemn occasion, when words can do little to heal still-fresh wounds, we here at NBC offer the only words that might actually help: Matthew Perry is back,” NBCUniversal CEO Steve Burke said of the network’s new sitcom Go On. “With his hilariously off-kilter timing and character work, Perry will provide succor to those still grieving from that fateful day. Because if Matthew Perry can’t, who possibly can?” At press time, the show was reported to be the most moving tribute of its kind since Universal Studios released The Scorpion King on April 19, 2002, to commemorate those lost in the Oklahoma City Bombing.